There is no wrong decision when it comes to deciding what kind of grass you want for your Denver property, however, within those choices there are unforeseen problems that might occur. Those with Kentucky Bluegrass on their property might fall victim to necrotic ring spots. While these ring spots produce interesting marks on lawns, they also make for a challenging solution. Our knowledgeable technicians have the tools and information needed in order to provide excellent service and results to our Denver customers. So, getting down to the nitty-gritty of the dreaded necrotic ring spot, it is a soil bound fungus that begins its attack at the roots of our lawns. The ring spots themselves are about baseball to basketball in size, however, will sometimes produce larger and irregular rings, but are still recognizable. 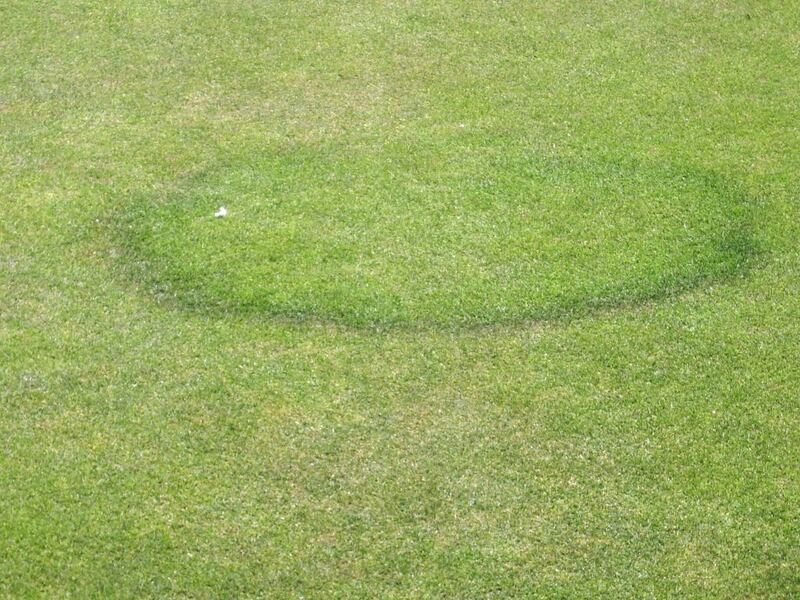 The occurrence of these ring spots can be year-round but typically develop in late summer, once the soil temperatures have reached their peak. The unfortunate news for necrotic ring spots is since they are a soil-based disease, they are considered incurable. However, our Lawn Doctor technicians are up for the challenge. We have created a new living platform that is able to replenish the soil of your Denver lawn, beginning with restoring the lawns natural food cycle, our necrotic ring spot treatment will then destroy fungi and bacteria by burning them into a food source for plant life. In addition to, reducing nitrogen build-up and the overall pH levels in the soil. While our treatments cannot completely get rid of the soil bound fungus, it will prevent those spots from resurfacing back onto your property. Do not let these ring spots continue to plague your Denver residential or commercial lawns. Let us take care of it for you by providing customized solutions and treatments for your property. Our experienced and dedicated lawn care technicians are here to help and reduce the unnecessary stress in your life.